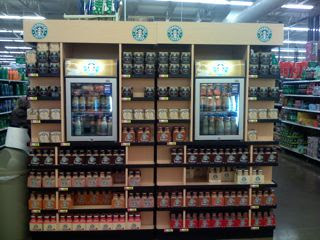 As I have said before, I am not a coffee drinker, but this display always gets me. So perfectly eye-popping and distinguishing. It pulls you in. It makes this end-cap stand out.